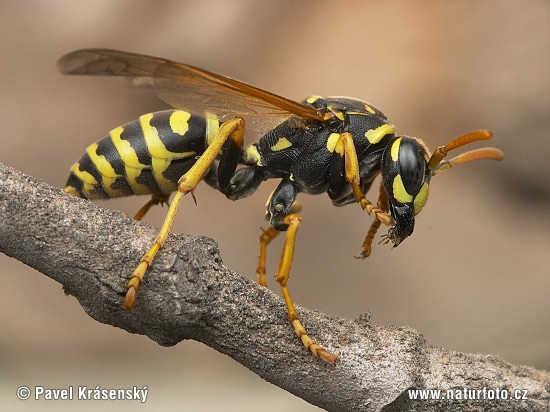 This is a wasp. See how shiny he is? than a wasp, but looks very similar. 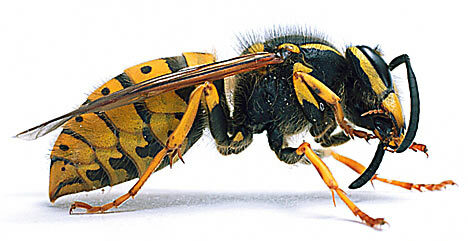 This is a honey bee. She is very fuzzy! 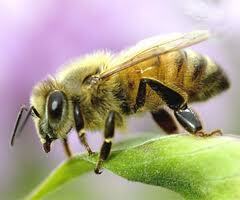 She collects pollen with all those little hairs.